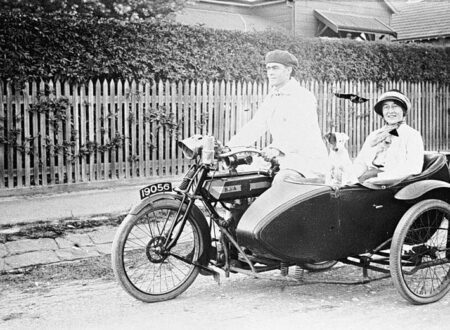 This image comes courtesy of the Museum of Victoria and it shows a couple taking an afternoon ride on their BSA with their Jack Russell. 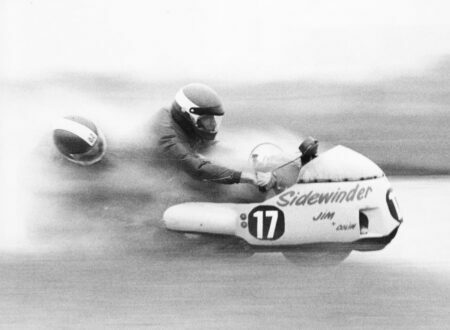 Motorcycle sidecar racing is one of the most extreme motor-sport events I’ve ever encountered. 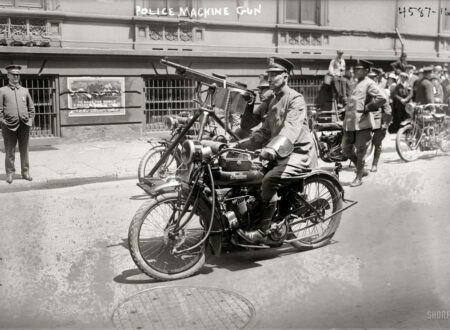 I can’t imagine the guts it must take to be the guy hanging off the side into every turn, with total faith in the chap holding the handlebars.